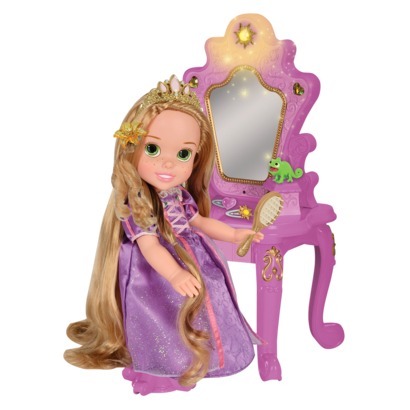 Disney Princess Rapunzel Toddler Vanity and Doll are just $29.99 shipped today only. That’s a 50% savings. Perfect for your little Princess fan, this sweet 15 inch doll comes with a vanity set which includes two clips, a brush, a tiara, clip-on curls and a cute chameleon toy.